A large branch is positioned either against a standing tree or a Y shaped stick to form a ridge pole. 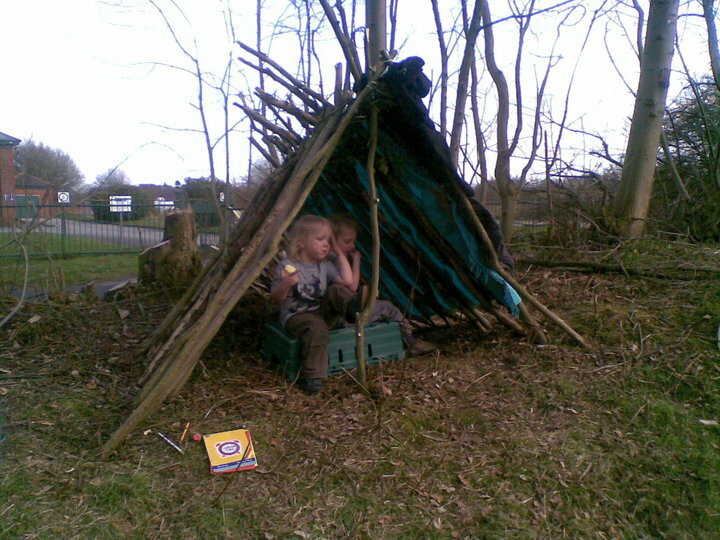 Large sticks can then be leant against it to form a lattice which makes up the structure for the sides of the shelter. Bracken, large leaves and grasses can then be placed on top of and weaved into the structure of the shelter to reduce wind and water ingress. Either look for a natural depression in the ground or dig one out. If a natural depression is not deep enough for your body you may also need to dig it out slightly. Once the depression is big enough for your body place branches over the top. It may be worthwhile raising the roof on one side to make it angled and help shed water. Leave a space at one end to crawl into. Cover the branches with smaller branches, leaves and bracken. Placing branches on top of the vegetation will prevent it from blowing away. 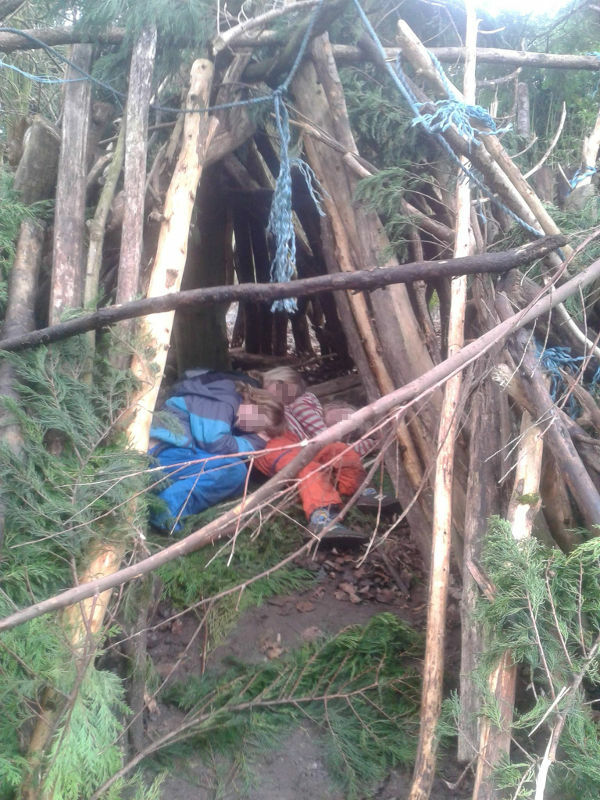 A den in the woods. Piling up leaves on the floor of the shelter will form an insulating layer and make the floor more comfortable to sleep on. Layering the branches/leaves on the shelter roof/wall not only increases the water tightness of the shelter but also insulates the shelter helping to retain warmth. Branches and bracken should be placed pointing downwards so that they shed any rain water rather than hold it. Consider the direction of wind when siting the shelter. If you can find natural features such as fallen trees or rock overhangs you can reduce the amount of work needed to build the shelter.